Jungle Red Writers: The Puppy Stork is Coming! HANK PHILLIPPI RYAN: Oh, well, it’s the funniest cartoon I’ve ever seen, and I’m posting it. Congratulations, Shannon, on both the book and the puppy . . . . Yes, puppies are indeed their own sort of specialness as are good books; I’m looking forward to reading Nora’s latest adventure. Hank you know how I love puppies! But I can offer Shannon no suggestions on house training or naming. My assistance pup came to me trained for almost two years before we were selected as a good match regarding personality and other traits. Keeping up training has been important, though, and building on skills already learned is fun. Kendall had his name from birth. He was part of the K-litter several years ago at Power Paws of Arizona in Scottsdale—have just had another K-litter about a week ago—and he was named after the breeder-trainer's best friend since high school's father. I love Kendall's name! It suits him. But many people think his name is Kindle, which I think is very clever given his great attachment to Rhys and Debs here on Jungle Reds! He is a beautiful golden retriever. My very first. My first golden and my first assistance dog. He loves authors and is a huge fan of JRW. We were not able to go to the Tucson Festival of Books this year. Terrible disappointment for both of us. I am betting you were there, and I am so sorry we missed you, Shannon. Rescue an older dog-- they are already housebroken! And it makes more room in the shelter for another dog. All my dogs have been rescues, some as young as a year, one as old as 12. Always worth it. OH, such good things in either a rescue or puppy--very exciting to get a new dog! We've never had a dog--sometimes we get a yearning for one. Briefly. It's a LOT of work. Lucy/Roberta's a real dog person, right? And you, Debs? Reine--Kindle! I never thought of that..so funny.Where did Kendall's name come from? And have you decided on a name, Shannon? The closest I ever came to dealing with puppies was when the hamster we'd just brought home gave birth to *8* wriggly bald-rat-like babies. I don't think what we did will be helpful. Shannon, you got a Weimeraner? Like William Wegman's Fay Wray? Glamorous dogs. Your new book sounds great. You had me at Moab landscapes. Yes dog person! Congrats on the book and the puppy Shannon! We rescued Poco, a red merle Australian shepherd, when he was 7. His former family's kid was going to college and they couldn't be bothered. Can you imagine? Tonka came to us at 8 months and he was trained too. We were told to keep him in a crate at night for a year but he never loved it. He wanted to be by the bed with his parents:). My brother and sister in law kept him for 3 weeks the first time we visited Key West. She refused to crate him and that was the end of that! We had gerbils when I was a kid. Chet and David. The cat (Mrs. Purdy) ate them. Such is nature. We also had Irish Setters! Rusty, Penny and Roderick St. John Erin Sean. Wow, you guys get up early! Thanks for letting me hang with you today. We're leaning toward Gracie as a name, but we'll see what she's like. Might need to change it to Killer or Hannibal. Our last Boxer was a rescue. While we loved him, he had issues. Since we've never had a child together, we thought we'd bring a little of that family-raising angst to our marriage. My kids had a hamster named Bob when they were little. I might have freaked just a little if it had babies. 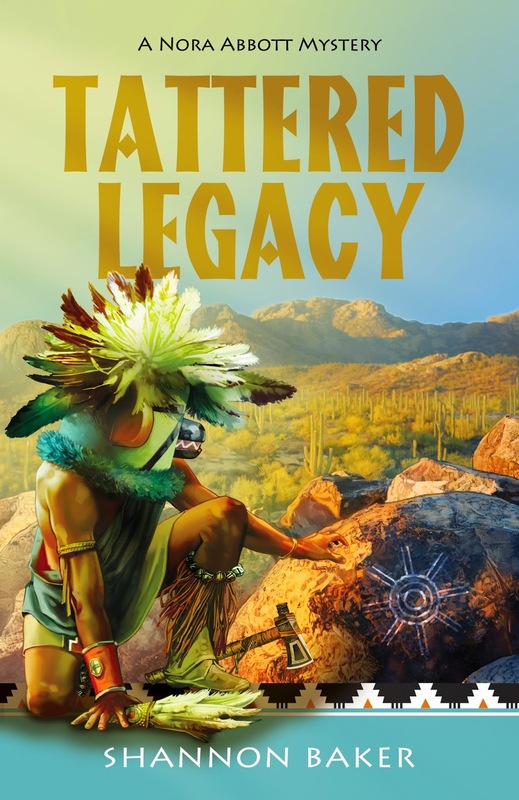 Reine--I didn't get to the Tucson Festival this year because I headed north to Portland to Left Coast Crime. So many conferences, so little time! Next year, though, we'll be full-time Tucson residents and I'm looking forward to it all! My nephew walked in last night with a hamster and all its stuff--sans any prior discussion. If "Reggie" has babies, I'm going to be in shock! Puppies, glorious puppies! No dogs at present, but you know, Shannon, your little girl might need a sister or brother later when she's older and then you can add a rescue! Can't wait to check out Nora--still rereading Hillerman to get my southwest fix! Harley the Wonder Corgi came to us at just 8 weeks old and got busy training us the minute he walked in the door. And we love him to the moon and back. Congrats on the release! Looks like a great read. I'm slap in the middle of puppy heaven/hell. Gunny is adrobs but yesterday he ate the sill off one of the kitchen windows. It's splinters. Flora, you got a hamster LAST NIGHT? Whoa. I love the name Gracie. (A main character in my upcoming WHAT YOU SEE, by the way. She is not a cute puppy...but she is a cutie.) But I agree, you have to see her. Hannabella? He looked at me like I was nuts. "You can't put costumes on a CAT," he said. One of the reasons we chose Weimeraner is because of Wegman's photos! Can't beleive you interviewed him. I used to watch Seasame Street with my kids and Fae was always getting dressed up. I was excited before but you all have me all fluttery! I have a perverse sense of humor but Gunny eating the sill made me belly laugh. Then start to panic! Two weeks after we get the puppy we'll be moving to our new house in Tucson. At least the main floor is saltillo tile. Gotta love Gunny. And I adore that name. Is it short for Gunnison? And, yes, big dog person, as Hank says. We went seven years between puppies before we got our Dax two and a half years ago, so I understand the selective memory. I was glad we had hardwood floors for that first month or two. Now we have Jasmine, too, adopted last summer when she was about six months old. She had no manners and no inside-dog training at all, and although she's great now, it is much easier to start with an eight-week-old puppy. Send up puppy pics!!! I'm going to have to look for your books Shannon. Good luck on living through puppydom. Our last puppies were 2 airemutts (airdale mom, mystery daddy(ies). Thought I wouldn't live through it. Since the boys passed I've been adopting adult rescue dogs, but still terriers. They stay playful forever. My current boy just turned 12; we've had him almost 8 years now and can't imagine life without him. I walk in the local park weekday mornings and have gotten to know a Rotti and her owner. From what I've seen with them, I think working with a trainer from when they are wee tiny puppies is the way to go. This dog is wonderful. She's still a year old puppy with all that energy etc. but she knows who the alpha dog is. 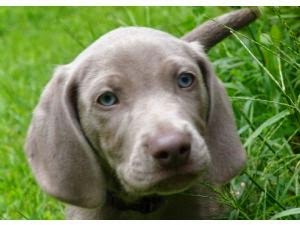 Shannon, I know that you are in for some amazing times with your new puppy,and Weimaraners are so darn cute. And to have a book coming out, too. Spring is certainly going to be busy and wonderful for you. I'll be checking out Nora and your books. The post today is bittersweet for me, as I'm happy to hear about puppies anytime, but I've just this weekend come to the decision that it's time to let go of my sweet Abbie dog. She's 15 1/2 years old, and her quality of life has just gone down dramatically in the last couple of months. We took in this beautiful Australian Cattle Dog when she was three months old. My daughter picked her out at the animal shelter. She's had a good long life and been a faithful friend. Kathy, my heart breaks for you. We make that agreement when we get a dog. They agree to love us unconditionally and we agree to stand by them at the end. It's a bittersweet deal but one we make with our eyes wide open. Hugs to you. Oh, Kathy, you are the best. Your sweet Abbie dog is counting on you--and what a wonderfully lucky pup I she is to be spending her life with you!! Much much love and give her a pat from all of us.. Thanks, Shannon and Hank. It's a gut wrenching decision to have to make, and I'm still not sure that I can go through with it, but I have someone good who will go with me. My husband won't be back in town until the end of April, but he trusts me to know when. Mar! So great to see you! Love to all..Go Shannon! And we really want to see photos of the puppy! Hank, sorry I didn't see this earlier! Kendall had his name from birth. He was part of the K-litter several years ago at Power Paws of Arizona in Scottsdale. Ech litter is assigned a letter of the alphabet, and the pups in that litter are given a name that starts with that letter. Some pups are named after generous donors no matter which litter they are from. He was named after The breeder-trainer named him after her best friend's father, Kendall. Each litter is assigned a letter of the alphabet, and the pups in that litter are given a name that starts with that letter. Some pups are named after generous donors no matter which litter they are from. Thanks so much for having me, Hank. I'll send pictures later! Puppies are special- they are faithful and fun.